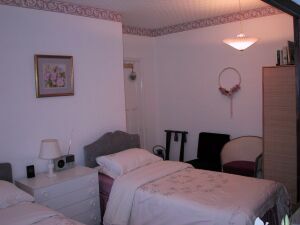 We let 2 twin bedded rooms with shared bathroom/power shower etc. 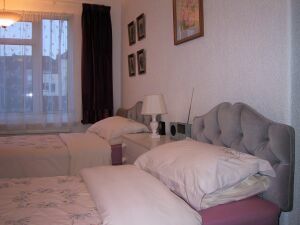 Our rooms are very comfortable and clean and each have television, radio, hair dryer, and tea and coffee making facilities for your comfort. Soft white robes are provided in each room for your convenience.